Crisis in Burma and international attention it's drawing is becoming the main cause of the most PC infections around the world. 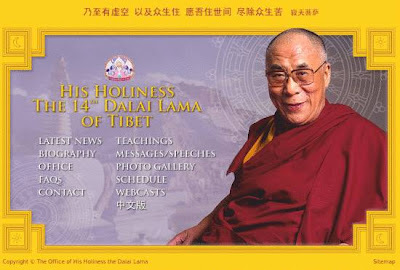 If you get email with the following message, "
Dear Friends & Colleagues, Please find enclosed a massage from His Holiness the Dalai Lama in support of the recent pro-democracy demonstrations taking place in Burma. This is for your information and can be distributed as you see fit. Office of His Holiness the Dalai Lama"
and if you open the attachment, which is Microsoft word document, then your PC's will be injected a malicious codes. This email looks so authenticate and so convincing, that even an intelligent user could be tricked into opening file. My goodness. People are just so inconsiderate. Taking advantage of such problems is just not right at all.